Kids grow fast. So, having something tailor made isn’t the first thing that pops to mind when considering a kid’s outfit, granted, but special occasions can provide the perfect opportunity to create something bespoke that little ones can really enjoy and remember and treasure for life. Or, if your kids are anything like mine, sell. Trends for kids follow a very similar pattern to adults’ tailoring. Just following on a little later. Small bespoke finishes like an eye catching lining, details on the pocket or an occasion date sewn in are all popular choices for making that smart outfit more than just a kid’s jacket. We’ve worked with families who have handed down kid’s tailored items from generation to generation, others who have bestowed a child’s jacket to their son on his 18th birthday and some who keep these treasured items as part of their special occasion keepsake boxes. 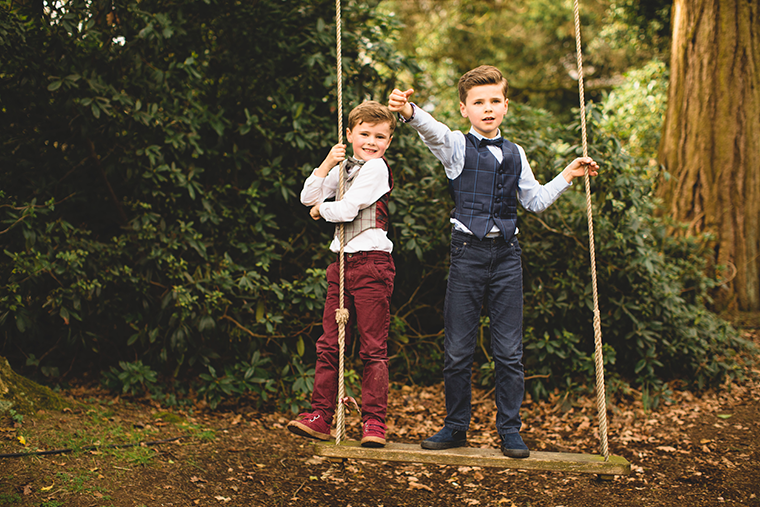 Whether it’s a wedding, christening, graduation, significant birthday, engagement, bar mitzva, or just an excuse for a good knees-up, kid’s tailoring can be the perfect finishing touch. Check out our boy’s tailoring pages for more information or get in touch for a chat. Parents are always welcome to arrange an appointment to bring their little ones to the show room. We run a relaxed, informal service with toys, tea, milkshakes and biscuits thrown in for good measure.